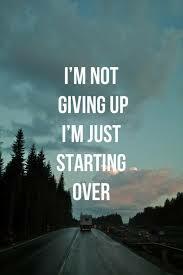 Writers, remember that you can always start over, but don't you dare give up! The Paterson Fiction Prize provides a $1000 award for a novel or collection of short fiction published in 2012. Deadline is April 1, 2013. A prize of $2000 and publication by Saturnalia Books will be given to one poetry book. Entry fee is $30 and the contest ends on April 1, 2013. Three prizes of $1,000 each and publication in Bellingham Review is given annually for works of poetry, fiction, and creative non-fiction. Submission fee is $20 and contest deadline was extended to April 15, 2013. Drafthorse Literary Journal is seeking submissions for its Summer 2013 issue. Drafthorse is a biannual online publication of fiction, creative non-fiction, poetry, visual narrative, and other media art where work, occupation, labor—or lack of the same—is in some way intrinsic to a narrative’s potential for epiphany. They are interested in how work (or the absence of it) affects people and communities on an intimate level. While they’re open to various interpretations, they expect the subject to be fundamental to your submission in some way. Deadline for the summer issue is April 30, 2013. The Journal is interested in quality fiction, poetry, non-fiction, and reviews of new books of poetry and prose. There are no restrictions on category or type of submission for fiction, poetry, and non-fiction. They are happy to consider long stories and self-contained excerpts of novels. Currently accepting original fiction, poetry, and creative non-fiction. Deadline for the summer issue is May 15, 2013. As always, Black Fox Literary Magazine is accepting submissions of fiction, creative non-fiction, poetry, art and photography. The Winter Issue (#7) is out! Happy Writing!